Designed by renowned local architects Kennedy Nolan, Lothian Street is a bold contribution to the burgeoning landscape of North Melbourne. Beautifully detailed, the robust exterior references the industrial history of inner-city Melbourne, while the interior celebrates the attention to detail that exemplifies timeless design. The individual residences – six townhouses and two apartments – have been created to deliver an organic and authentic lifestyle, while providing the flexibility and spaciousness that modern living demands. The interior spaces are warm and generous, with opportunities to look out over the surrounding streets, while retaining privacy from the urban environment. Interior detailing has been enhanced by collaborations with various Australian designer-makers, to ensure that the handmade, bespoke quality of Lothian Street is reflected at all scales. 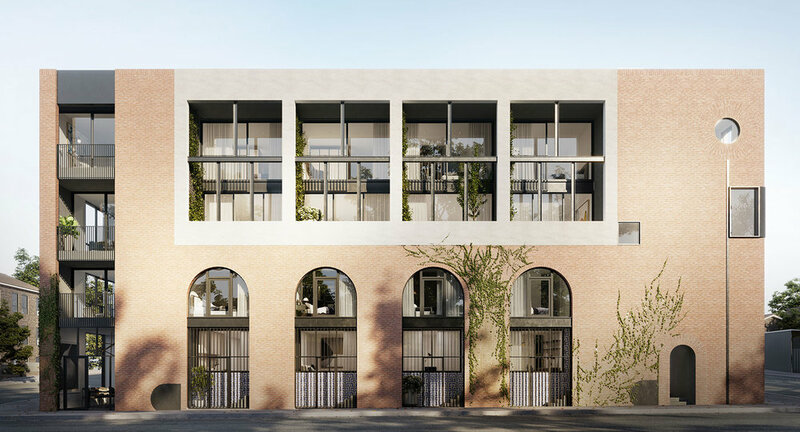 And at their front door, residents step out into Melbourne’s most-loved inner-city neighbourhoods, with cafes, parks, shopping and, soon, a brand new underground railway station within easy walking distance.